For parents with teenagers that are not thriving in traditional schools and can’t seem to get a handle on their emotional and behavioral problems, there may not seem to be much hope. However, residential treatment centers in Utah have a high success rate in treating adolescents with mental illness and emotional trauma. Instead of enduring worry and stress, parents of troubled teens have peace of mind knowing that residential treatment centers in Utah are helping their kids overcome poor behavior and bad choices. Any parents that are wondering about the different options they have regarding teen help programs and therapy schools should look at residential treatment centers in Utah. What Exactly Are Residential Treatment Centers? Residential treatment centers are specifically for teens that struggle so much with emotional, behavioral and mental health issues that it interferes with their daily life at school, at home and in the community. Traditional schools only focus on academics for typically behaving teens, and only have a small section of their resources dedicated to abnormal behavior. While well-meaning, traditional schools are just not equipped to handle teens with significant mental challenges and behavioral disorders. However, parents don’t have to give up on their problem children, because residential treatment centers can guide the teens toward a happier and healthier future. The best residential treatment centers give constant support and structure for all teens that are enrolled. The facility includes programs that emphasize therapy, academics, personal development, life skills acquisition and even recreation. Residential treatment centers and therapeutic boarding schools have been shown to be some of the most effective programs in treating troubled teens. Why Is Utah the Best for Residential Treatment Centers? Some parents make the mistake of choosing a residential treatment school based on it being close to home. However, different states have established laws and regulations that support how programs are run and ensure they meet the standards for operation as outlined. Sadly, too many states have lax rules and regulations when it comes to treating teens at residential programs. However, Utah has some of the toughest rules in the country, meaning that residential treatment centers in the state are regularly checked, frequently inspected and must meet some pretty high standards to stay in business. Peace of mind is priceless for parents that choose to enroll their teens in residential treatment centers in Utah. The other wonderful thing about therapy schools in Utah is that the state is a playground for outdoor activities and spectacular scenery. 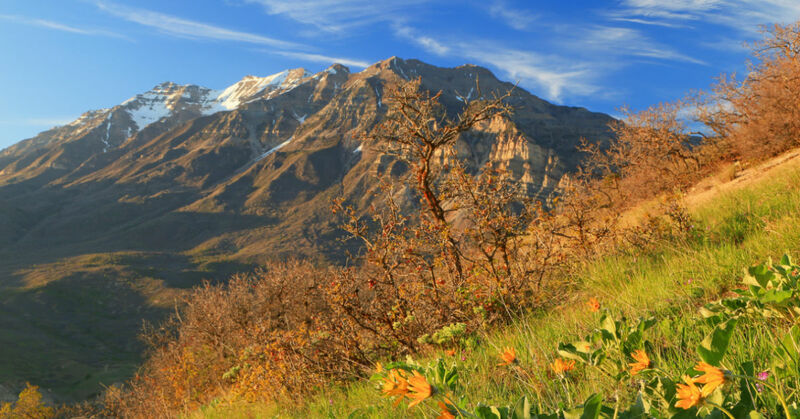 From the rugged mountains and lush green valleys of northern Utah to the colorful deserts and unique rock and land formations of southern Utah, the resident therapy schools in the state take advantage of all the activities available. Skiing, hiking, horseback riding, mountain biking, water skiing and more are all part of many teen programs in Utah. Troubled teens can connect with themselves, with nature and with trusted mentors and therapists to rehabilitate with long-term results. Do Residential Treatment Centers in Utah Really Work? While the ultimate example of whether rehabilitation will work depends on the teenagers themselves, Utah’s residential treatment centers have a long history of success. The best programs employ licensed and experienced staff members, like therapists, teachers, mentors, administrators and more. They are dedicated to helping adolescents manage their mental health challenges and teach them the coping skills they need to succeed as adults. It gives teens a chance to get away from negative friends, frustrated teachers and behavioral triggers in their daily life. Starting a new chapter of health and healing at a residential boarding school in Utah is often exactly what teenagers need. Residential treatment centers in Utah are ideal for those struggling teenagers who need regular therapy and who simply cannot find success at home or at school. The centers welcome teens with a wide range of conditions, such as oppositional defiant disorder, bipolar, ADD/ADHD, personality disorders, severe anxiety or depression, substance abuse, reactive attachment disorder, abuse trauma and so forth. Too many short-term teen programs like wilderness camps, boot camps, military-style schools and outdoor survival camps rely on strict discipline measures and harsh physical activities. Studies show these negative methods simply don’t work. A nurturing environment where teens are motivated to chance on their own has lasting effects that transform troubled teens. The successful centers in Utah deliver the appropriate medical attention, intensive and regular therapy, appropriate discipline techniques and constant monitoring. Often, many of the centers include accredited academic programs so teens can make progress toward earning a degree. All in all, residential treatment centers in Utah are one of the best ways that troubled teens can start to turn their lives around.